In my opinion, it has to be Belle's Magical World. YA NASTY. I don't think this would be the WORST, but it was a little cringeworthy. 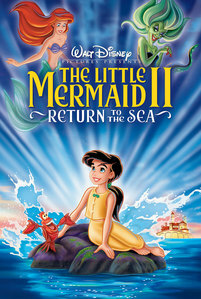 In my opinion, the Little Mermaid was a great movie and should've been left alone. This sequel just kind of put me off a little. Not a big fan of it. I've hardly seen any sequels, but out of the ones I've watched, the The Lion King 3 is most infamous of them. I could appreciate the OTT satirical side of it, but in all honesty I (like a lot of people) would have preferred a third Lion King movie to have the same sort of atmosphere as the first two. But out of the Disney sequels I haven't seen but have heard a fair amount about, the one that I don't think I can ever bring myself to watch is The volpe and the Hound 2. I might be jumping to conclusions, but the story just sounds awful. I agree. 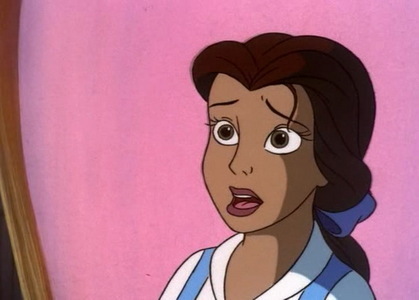 Belle's magical world is rightly described as "cringeworthy"! I abhorred it. Either Cars 2 o Planes: fuoco & Rescue. Cars II and I didn't really like Cinderella's first sequel that much. I personally enjoyed Cenerentola 2, but I can see why some didn't. I honestly think that's Disney's best direct-to-video sequel. The volpe And The Hound 2. Not so much because it was cringe-worthy but because it didn't need to exist, just like Tarzan 2. Also, Amos Slade's character was totally crapped on. Belle's Magical World, Cars 2, Cenerentola 2, Pocahontas 2, Mulan 2, and The Hunchback of Notre Dame 2. Aw, I Amore Cenerentola 2 and Mulan 2. I would've liked the two more, but the pop songs are just so out of place in that movie and because Mushu was one of my preferito characters in the first Mulan, I didn't like that he became such a jerk in Mulan 2.